Erin Revels is a dedicated therapist who focuses on helping her clients achieve wellness through targeted self-care and regular massage. A deep interest in the human body as well as a passion for helping others and enhancing wellness led her to massage therapy. Erin attended the Johnston Community College Massage Therapy Program and graduated with highest honors. She holds a certification in Integrative Reflexology, and is constantly impressed with the intricate connections between reflex points and the body systems, as well as the effectiveness of this modality. 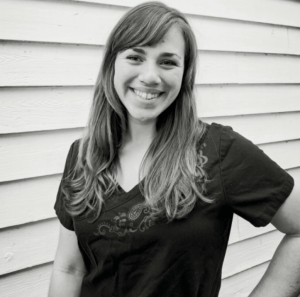 Specializing in Deep tissue, Trigger Point Therapy, Wellness massage and Reflexology, Erin also is constantly adding to her skill set in these and other areas. Erin has lived in Johnston County all her life. She is currently pursuing an Associates of Arts and Sciences degree at Johnston Community College, and enjoys running, horseback riding, cooking, leather-working and outdoor activities in her spare time. Erin’s faith is a huge motivator in her life and career, and she sincerely believes that “A joyful heart is like medicine” and strives to bring joy and positivity to each client. Too book an appointment with Erin, call our office at 919-977-5744 or fill out an appointment request online.